Botanical Blooms escaped my imagination until I saw Becky Roberts use pastel colors. I had to try it for myself! 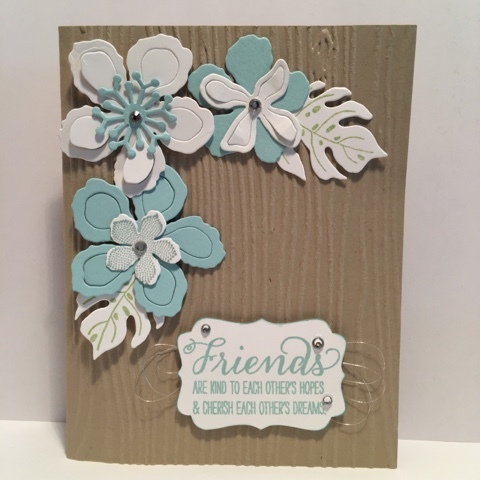 The woodgrain embossing and silver metallic thread create a great combination with these flowers. This was my beginning layout stages to figure out my design ideas. 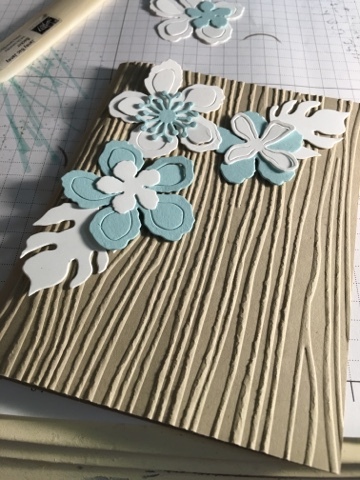 I love how the flowers look on the woodgrain! Thank you for coming to see my card today. I am working on an alternate design with this and look forward to sharing it with you soon. The supplies for this project are listed below. You can shop at my online store or order directly from me. Thank you for your support!